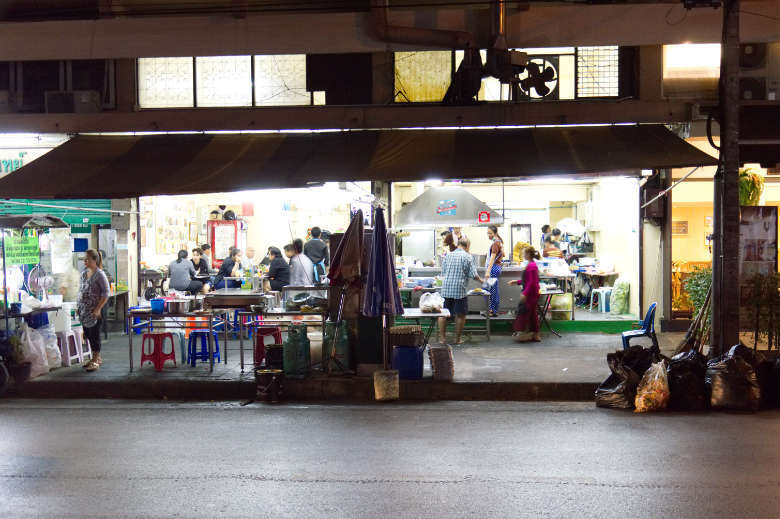 Today we are going to show you our three best places to eat street food in Bangkok. 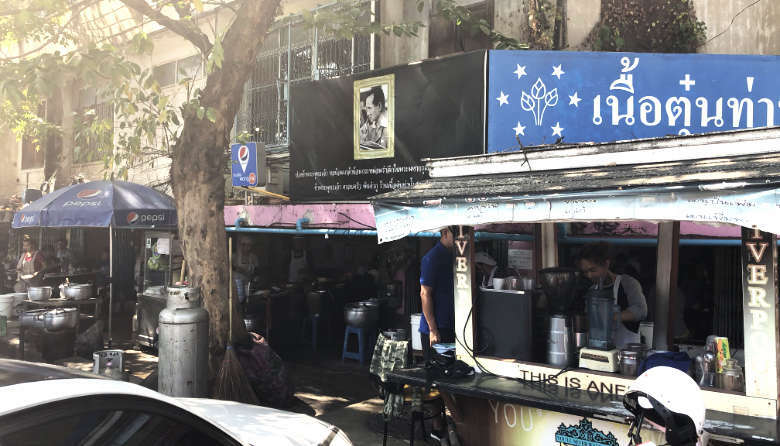 In the capital of Thailand, you can find anything on the street, but our focus on that trip was the food, and the food alone is a reason enough for a trip to Thailand. 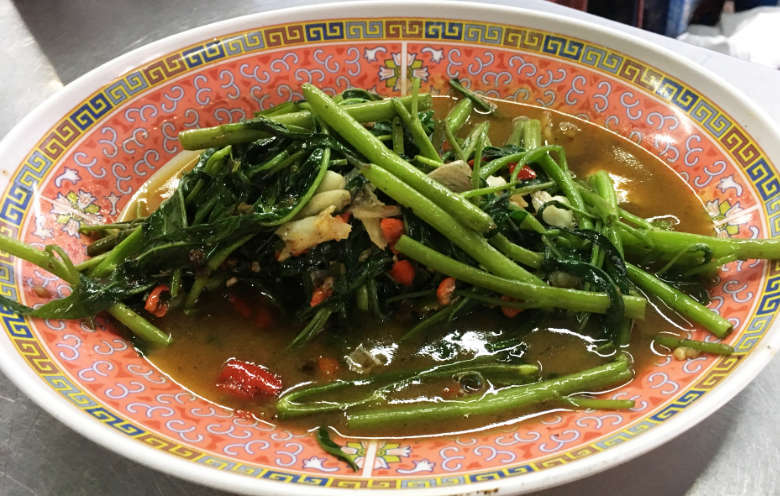 Exploring the street food in Bangkok wouldn’t be this good if it weren’t for the videos of another food lover Mark Wins, who inspired us to try all these fantastic dishes. 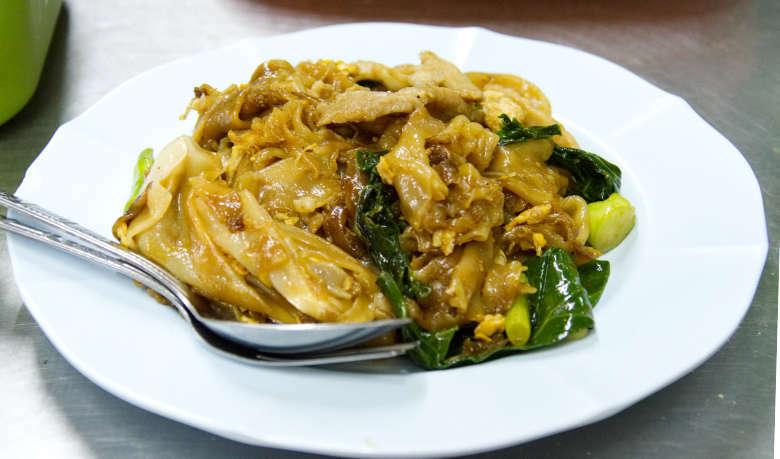 The first evening we decided to try one of the most famous Thai dishes: Pad See Ew. Because of Mark recommendation, we went to the restaurant called Radna Yod Pad Sood 40 Years. I will never forget this flavor of the smokiness on those wide rice noodles! We were so amazed with street food in Bangkok! 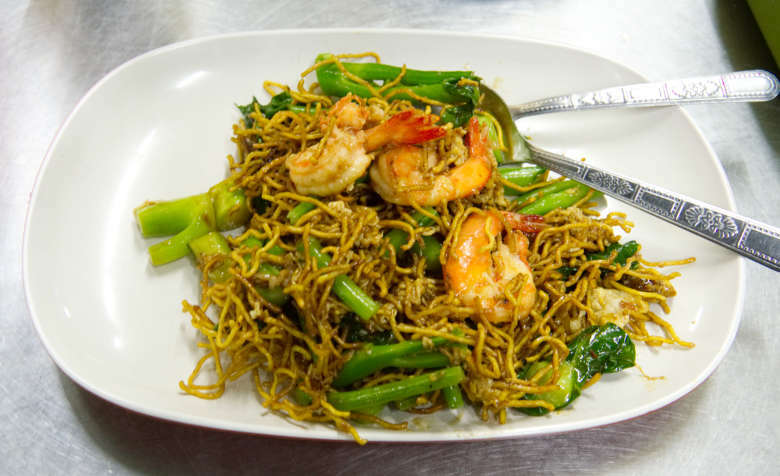 The crispy noodles Bamee krob pad see ew talay (บะหมี่กรอบผัดซีอิ๊วทะเล) was Matthias favorite. That was the crispy version with prawns and a fried egg. This dish had a stronger flavor and if you want to try both you need to start with the Pad see ew sen yai moo. We haven’t eaten the other signature dish in this restaurant: Radna. But if you are still hungry you definitely should go for that one! The next day we decided to go for beef soup. In Germany, we have beef soup as well, and I love it. I wasn’t expecting braised beef (ปริญญาเนื้อตุ๋น น้ำตก) to blow my mind… but it did! The restaurant recommended is pretty far away from the city center, there is no train station near it, and we advise you to get there by taxi or Uber. It’s worth the ride! On our last evening, we decided to try central Thai food and eat Tom Yum Goong. We went to the restaurant in the city center. 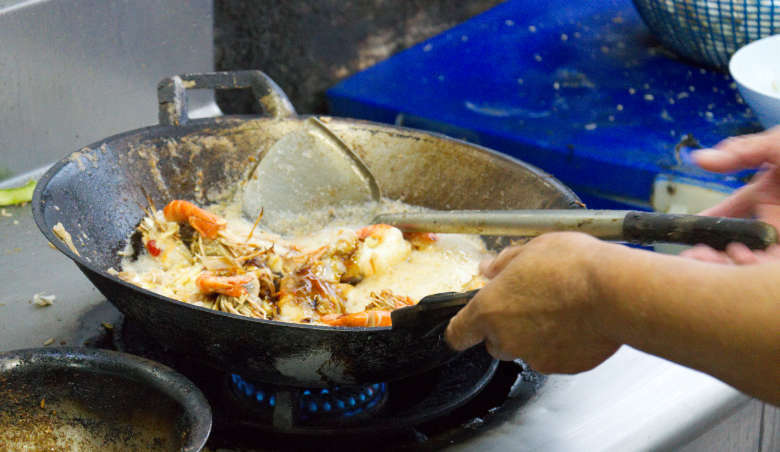 We have ordered those deliciously caramelized shrimps and some rice as well. Tom Yum Goog was way better than the one I tried to cook at home, and the shrimps were just heaven. The fact that the garlic wasn’t even peeped didn’t bother us at all! There were still the best prawns I have ever eaten! We went twice to this restaurant, and the first time we have tried their morning glory which was also very good. We are so coming back to Bangkok again to try more of this delicious food! Mark made our trip! All food vendors shown in this video are his recommendation. I have watched this guy for hours! 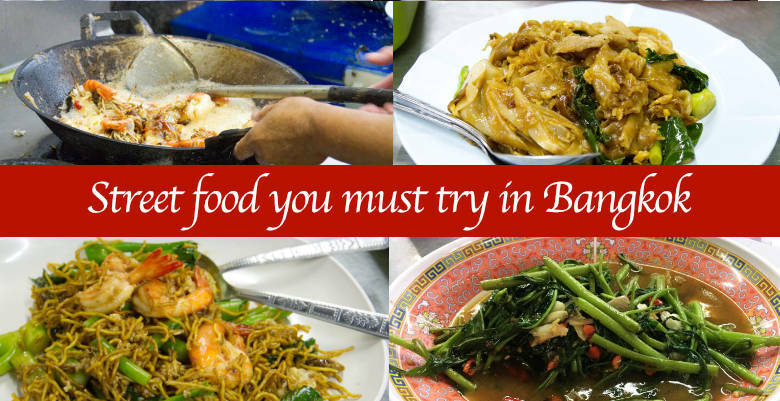 If you are going on the trip to Bangkok and you love food as much as we do you need to check his videos and blog posts out! 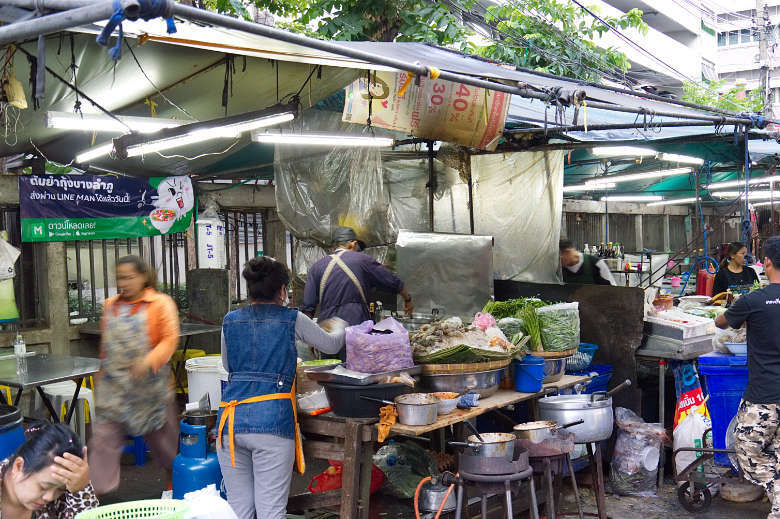 Street food in Bangkok was the best street food that we have tried on our trip to Asia. Trust me, if you do the same street food tour, you will be as amazed as we were! Another short advice for you: Please write the dishes in Thai so you can show them to waiters to let them know what you want to order. Be aware that they serve different portions of the beef! If you liked this video, please give us a thumbs up and subscribe to our channel for future videos. 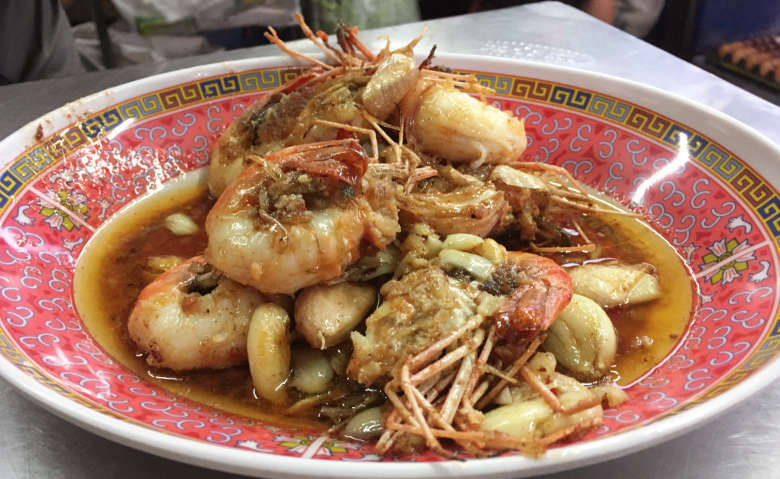 3 dishes that you have to try in Guilin.